From the first note of the first CD of this double album I got a sense that I would like it, and I am happy to say that I did. And I am happy to review such an enthralling music, and such an earthy music, and such a music that is strange yet has no synths or electronic instruments. I am a closet folky, and I chose this CD because of this fact, but I am always skeptical when it comes to what people term as folk or traditional music. However, Hala Strana have adapted their style of music totally around this field, and have produced to me a obscure masterpiece, because it is Amon Duul II-esq in the Violin department, and in the weirdness feel, and I am a big fan of Amon Duul II and I am in a band myself so I am always on the look out for strange interpretations of things that don't make sense. The list of the instrumentation on these CD's are too numerous to list them all, but let's just say that all are in the traditional vein, and all are acoustic, bar the field recordings, and the tape sound effects that intertwine with the onslaught of Eastern Block style traditional music. Some of you will find this a bit too much, and a bit too obscure, but I find that it is relaxing and meditational. This is because I have also wasted hours twanging and manipulating Bouzouki's, Guitars, Accordions, Violins etc, and have always loved the tones and sounds, and also have experienced experimentation when recording and the broad atmospheres that these instruments can give you if you have ideas outside of the norm. So for that reason Hala Strana are a band that I will definitely listen to again and would definitely say are worth a listen if you are not familiar with them. But remember, that there are NO ELECTRONIC INSTRUMENTS on these CD's, but it is for that reason that I say that you should check them out. Because ambience comes in all flavors and it does not necessarily have to be created with synths. Because creativity still shines in the dark laments of a tradition long gone and forgotten by the many. Yet it is still so fresh and fluent to those who live them daily, and absorb them in their societies. And I'm not saying that Hala Strana do. I'm just relating that modern day music allows old styles to thrive through new blood, and can be interpreted by all ages of both genders as long as experimentation is the inspiration. Because without it eras run courses and die... with it they last forever. The emotions and the feelings that are involved with this music are dark. Yet it is uplifting and allows for the listener to absorb into it, and float through it, much like you would with a Klaus Schulze or other electronic meditation album. That is, if you approach it like this, which I did, and found it original, and very energy fuelled. And I suppose that I cannot speak highly enough of this band. Some will find it noisy and boring, slow and depressing. But to me it breathes the life that they haven't found yet, and touches the spirit that they have not known, so in turn have to go searching for it. While others know of the unseen, and with that knowing can make simple things more alive than the most complicated, without much effort. 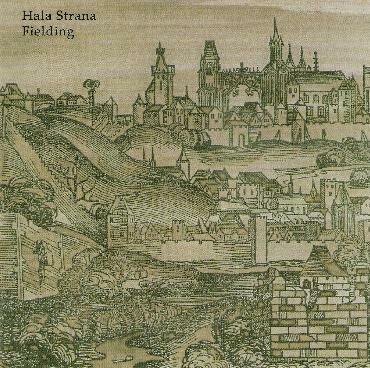 For more information you can visit the Hala Strana web site at: http://www.worstward.com.